Fabian "GunGFuBanDa" Mayer, is a Protoss player from Germany who is currently playing for Wolf's Pack. Previously he was in the two German teams, Team inFluence, followed up by iPlay. At only 16 years old, he showed promise in having beaten players such as HasuObs and Socke. GunGFuBanda first big results came at Fragbite Masters Season 3 where he made it all the way to the grand final losing narrowly 4-3 to MMA GunGFuBanDa qualified for WCS Challenger League season 2 of 2015 following his disqualification in the first season (see bellow). In the Challenger match, he defeated NaNiwa 3-0.participated in his first WCS Premier League in the following season, in 2015 Season 2. He won his first series 2-0 against Has. After the series, he stated he was really happy to find the proxy Stargate, and expressed his confidence to advance out of the group. In the winners match, he was defeated by Jaedong 1-2. 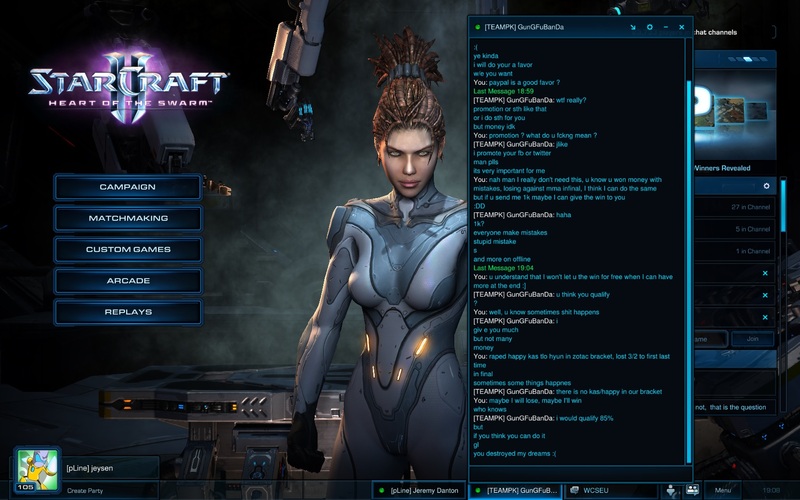 The series included a failed Zealot rush in Game 3 on Vaani Research Station, despite Jaedong going for three bases before a Spawning Pool. In the last series, GunGFuBanDa won 2-1 against elfi, and joined fellow German player TLO in WCS Round of 16 in Toronto, Canada. In this Round of 16, GunGFuBanDa was in Group A, with the three players who lost to Polt in 2015 WCS Season 1 Round of 8, ForGG, Bunny and Hydra. After winning against ForGG, GunGFuBanDa lost 0-2 against Hydra. In the decider match, he played a close series against Bunny ending up 1-2, which made him finish in 9th - 12th place. 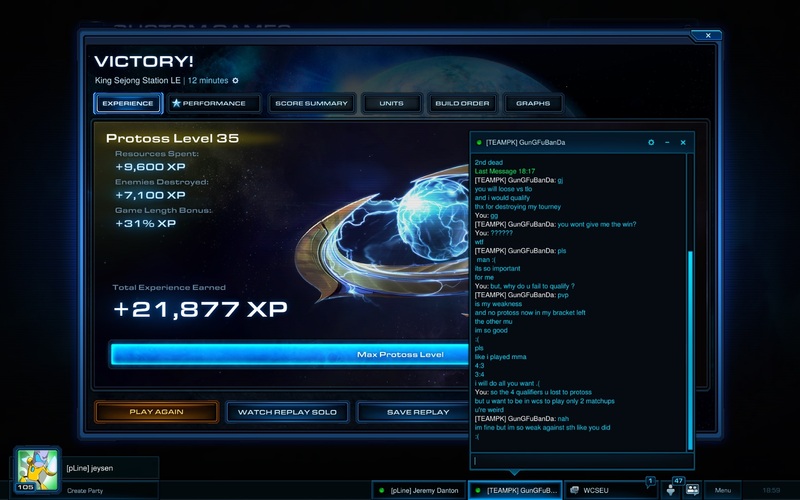 GunGFuBanDa managed to return to WCS Premier League beating fellow protoss DnS 3-0 in Chalenger. He then top his round of 32 group betting Shana as well as future tournament winner Lilbow. He then went on to finish second in his round of 16 group losing to Petraeus but eliminating two veteran of the scene in Sen and Snute. His run was finally stop by Zanster in the round of 8 in the offline final in Kraków. GunGFuBanDa transition to legacy of the void, was somewhat rocky, while he didn't fall of the map of competitive Starcraft he failed to initially find the same success has he had at the end of Heart of the Swarm, failing to qualify for any of the 3 WCS championship as well as the Dreamhack or IEM events and suffering a group exist in HomeStory Cup XIII. As the bright spot in harder year, GunGFuBanDa won his the ESL Meisterschaft 2016 Summer edition becoming the last ever ESL German national champion as it was the last tournament of the series. GunGFuBanda was mostly inactive during the 2017 and 2018 playing only in a couple of online cup and qualifier without any results to speak of until the last few months of December when he started being more active. He qualified for WCS Winter Europe through the ladder qualifier and when on to top his round of 32 group with 2-0 victory over Nerchio and Kas marking a surprisingly quick return to form for the German player. He later was eliminated of his round of 16 group by Harstem and Rail by losing 1-2 twice. On January 13, 2015, GunGFuBanDa was implicated in a match fixing attempt made public on reddit. After a lost to Jeysenin the qualifier of WCS Chalenger season one, GunGFuBanda message him to ask him to fake the result and give him the win. The conversation escalated into Jeysen saying he might consider it for 1000$ but the discussion fell of there. Both player were suspended by Blizzard for the rest of season 1 of WCS 2015. GunGFuBanda latter said that he had no intention to pay him but felt overwhelmed at the time of the lost.